Definition: Bone that heals in an area of an extraction or surgery with normal bone trabeculation and no evidence of a previous tooth or surgery. Location: Any site of previous tooth extraction or surgery of the jaws. 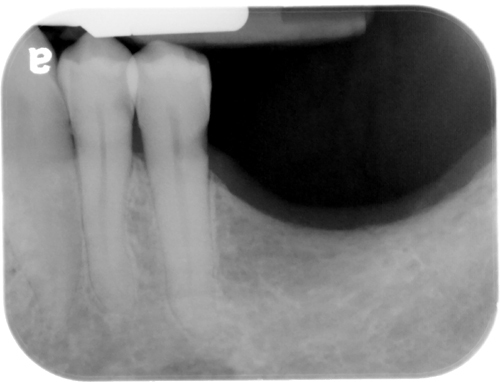 Edge: Continuous bone trabeculae with the surrounding bone. Shape: Shape of existing alveolar ridge or jaws. May have a slight ‘cupping’ or saucer shape at the crest of the alveolar ridge. 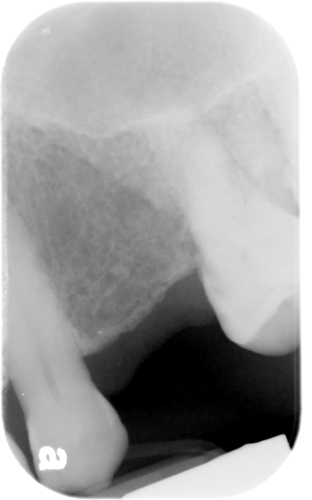 Internal: Radiopaque with bone trabeculae evident. Number: There is no number evident.